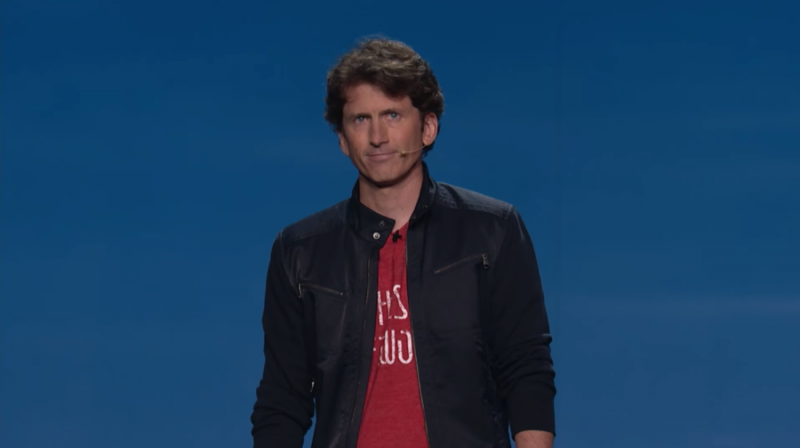 Todd Howard may not be a name you recognize but he's one of the most influential figures in the video game industry today. He'll be honored as such at the 16th annual Game Developers Choice Awards next month in San Francisco. The director, designer and producer is responsible for some of the most successful and beloved games of all-time including several titles in the Fallout and The Elder Scrolls series. The 22 year Bethesda veteran created the PC's first 3D shooter with mouselook – 1995's The Terminator: Future Shock – and is among the rare few that have developed three consecutive Game of the Year titles (The Elder Scrolls: Oblivion, Fallout 3 and The Elder Scrolls: Skyrim). His latest game, Fallout 4, is nominated for multiple awards at this year's ceremony including Game of the Year, Best Design and Best Technology. Regardless of whether or not Howard walks away with any of those accolades, he'll be taking home the coveted Lifetime Achievement Award. Other recipients of the award include Warren Spector, Hironobu Sakaguchi, Ken Kutaragi, Peter Molyneux, Dr. Ray Muzyka and Dr. Greg Zeschuk, among others. The 2016 Game Developers Conference will take place March 14 through the 18th at the Moscone Center in San Francisco. The Game Developers Choice Awards ceremony will be held on March 16 at 6:30 pm and will be livestreamed on Twitch.